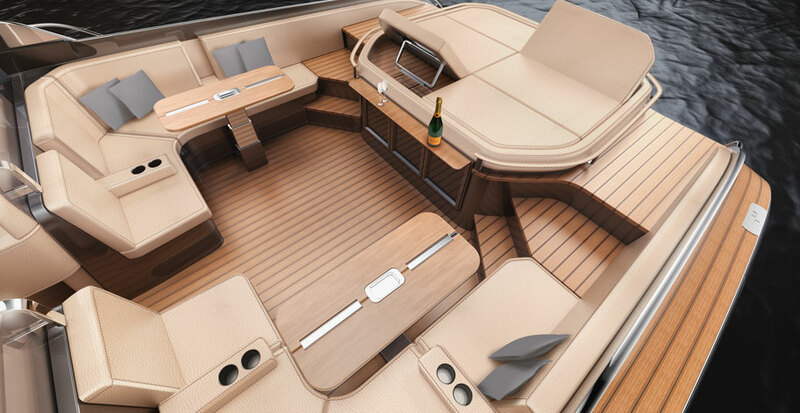 With an estimated speed 55-60 knots, sleek design and plenty of comfort and space, the Hunton 55 could compete with the likes of Pershing and Riva. 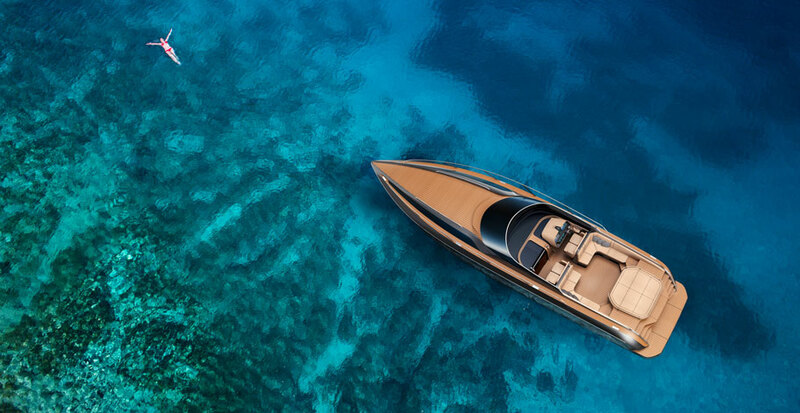 Since purchasing the main assets of Hunton Powerboats in January 2017, the newly formed Hunton Yachts Ltd has been keeping a relatively low public profile while it seeks to rebuild the business as a smaller, leaner, more luxury-focused boat brand. At the time of writing this, CEO Fiona Pool assured MBY she was on the verge of signing a deal to secure the funding needed to put the hotly anticipated Hunton 55 into production. All the structural engineering is said to be complete and ready for tooling of the moulds to begin at mould CAM in Poole. Custom yacht manufacturers Fibre Mechanics of Lymington will be contracted to build the boats themselves. 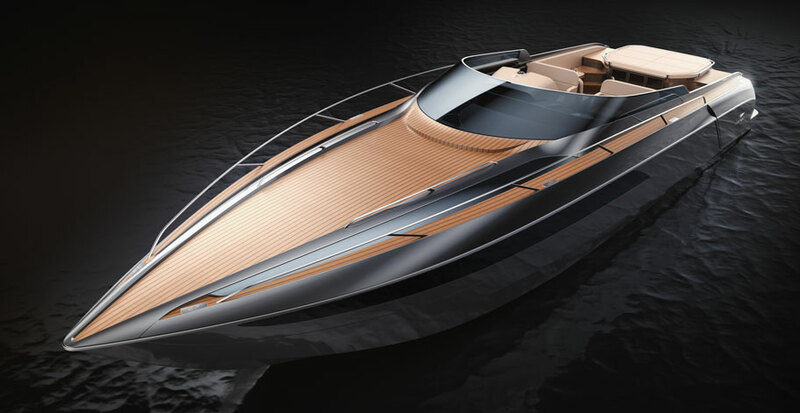 Based on an original Jeff Hunton hull shape and styled in house with the assistance of the London-based Quarterre design studio, it marries a long, lean, deep-vee hull with a luxurious new cockpit and interior. Open and hardtop versions are planned to broaden its global appeal. Power comes from a pair of 1,000hp MAN engines on Arneson surface drives giving a top speed of an estimated 55-60 knots. Two double ensuite cabins separated by a lower saloon and galley provide a level of comfort and space that its smaller rivals can only dream of, enabling Hunton to compete with the likes of Pershing and Riva while still delivering superior performance. It even comes with its own matching 2.8m designer jet tender tucked into an unusual side-loading tender garage. The price for the new 55 will be somewhere in the region of £1.5- £1.7 million ex VAT depending on specification, with the first boat due in the water next spring.